Our prenatal class “Parenting the Newborn” will give you the information you need about life after baby. 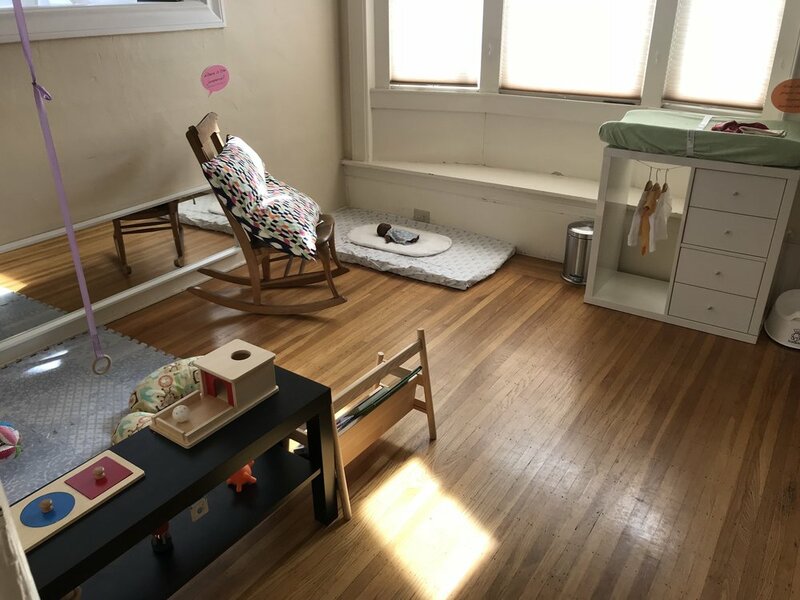 Get a glimpse into postpartum life, your child's early essential development and home set-up tips & gear recommendations with you and your child's development in mind. Our signature “Let’s Talk” workshops are formatted to give you the relevant development for your most pressing toddler/preschool parenting questions in a roundtable discussion format! We focus on one theme for each workshop series between the child and the adult, themselves and their peers! Get a group of friends together for a guided Material Making workshop! These workshops are hosted at one of the participant’s houses and are a fun, interactive way to meet other families, ask questions and leave with some great materials! Popular materials have been cursive refrigerator magnet letters, Montessori mobiles and the Topponcino!